Family: No kids. Mom & Dad are back in Illinois. Total Years Fishing: All my life, as far back as I can remember. Serious musky fishing started around 15. That’s about when some of my older buddies could drive, and we could get to the musky water. Saw my first musky at my Uncle Bobs cabin in Eagle River Wisconsin as a very young man though. I was hooked. Hobbies: Fly tying, Fishing, Bird Hunting, and Chasing Musky! 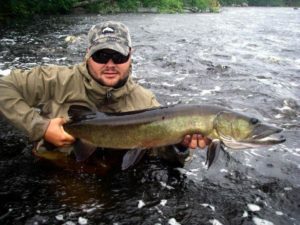 Primary Fishing Strength: Biggest strength is probably musky fly fishing: it’s what I do the most. Primary Waters Fished: Rivers mostly: Northern Wisconsin rivers and middle Tennessee rivers. 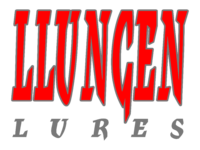 Go To Bait: I really enjoying throwing the .22 shorts, but all time Llungen favorite is the Nutbuster for sure! I have had fish eat that when nothing else was working. Tournament Success: I don’t fish a lot of tournaments but my team did win the Hardly Strictly Musky Fly Tournament in 2016 in Tennessee. 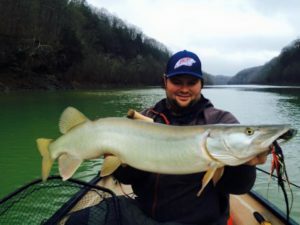 Chris Willen has been musky fishing for well over a decade, from the freestone rivers of the Upper Midwest to the limestone rivers of the Cumberland plateau and most places in between. One of the things he enjoys most is to share the sport of fishing with others. With that, he began Chris Willen Guide Service. Chris specializes in hunting wild, native musky in the beautiful lakes, rivers, and flowages of Northern Wisconsin.